Whoever wants to be a real racing driver also needs the right equipment. 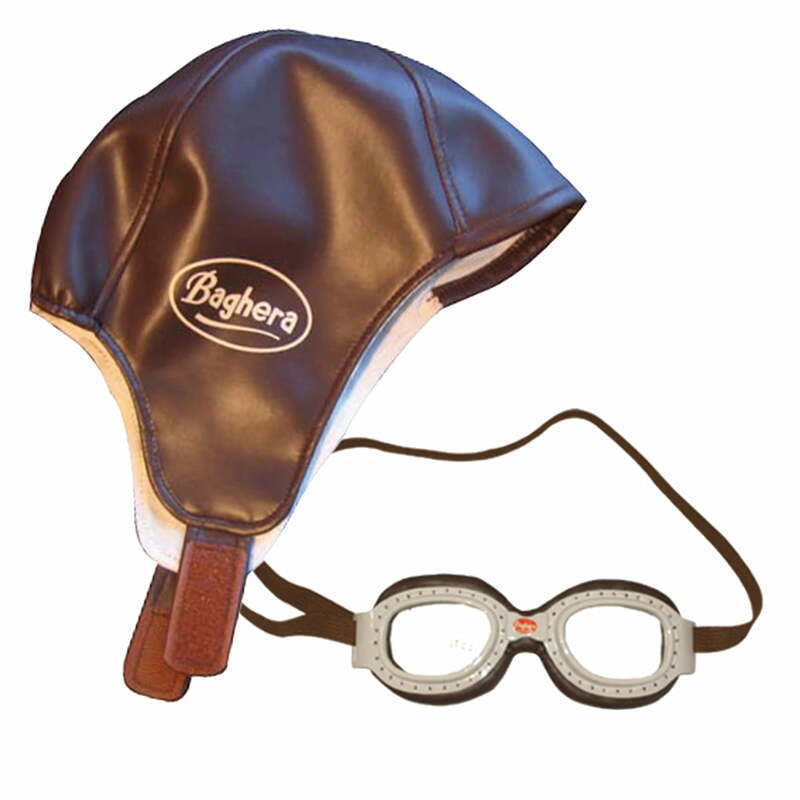 To suit the pedalled Speedsters by Baghera, we have the Race Kit that consists of a racing driver cap and glasses. The brown-grey racing cap consists of artificial leather and possesses internal lining. The matching racing glasses also consist of artificial leather and metal. The glasses can be adjusted to the children's head size thanks to the adjustable headband. 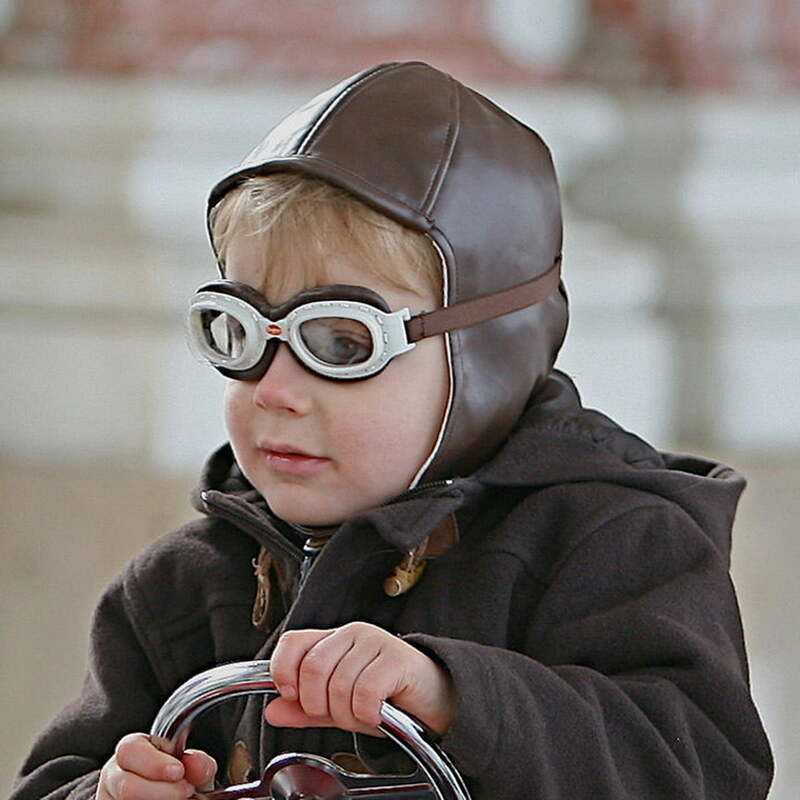 We suggest the Baghera Race Kit for children from 1 year of age and up. Caution: This toy offers no protection.